Great guitar skills and tone are completely subjective. Want proof? Well, try this: ask ten guitarists to name their top ten six-stringers. We’re pretty sure you’ll get 10 completely different lists. But anyway, here we’re going to pick guitar players we love, regardless of anything else, and tell you how to get your amp tone in the same ballpark. Let’s do this! In the early morning hours of August 18, 1969, a force of nature was unleashed that would forever change the world of electric guitar. Granted, it wasn’t that exact stellar moment at Woodstock that transformed James Marshall Hendrix, journeyman guitarist, into Jimi Hendrix, cosmic rock deity, but his apocalyptic rendition of The Star-Spangled Banner at the legendary hippie happening imbued the phrase ‘flower power’ with a whole other meaning. That strange brew of wah, fuzz and feedback transformed the American national anthem into a battle cry and Jimi’s guitar into a machine gun. Perhaps he was protesting the Vietnam police action; maybe it was an act of patriotism. Whatever his intentions were, there’s a strong case for claiming that Jimi Hendrix ‘invented’ modern rock guitar with that performance. The musical vocabularies of today’s guitarists are sprinkled with phrases coined by Jimi, and the same goes for the modern toolset of tones and techniques. Even if one isn’t given over to venerating pop icons, Hendrix’s bold visions, fearless experimentation, and genre-defying psychedelic soul music merits respect on another level. In his hands, the electric guitar was more than a musical instrument. He felt or understood it to be the weapon of the young, the disenfranchised and the unheard, and he used it in a way that was wild, savage and sexual, and certainly a revolution in musical expressiveness. We’ll get into more detail down below, but this is how we set our amp up to get Jimi tones! Thus Jimi not only reinvented the guitar, he also created the template for what countless young men would later aspire to become – a Rock Star in capital letters! 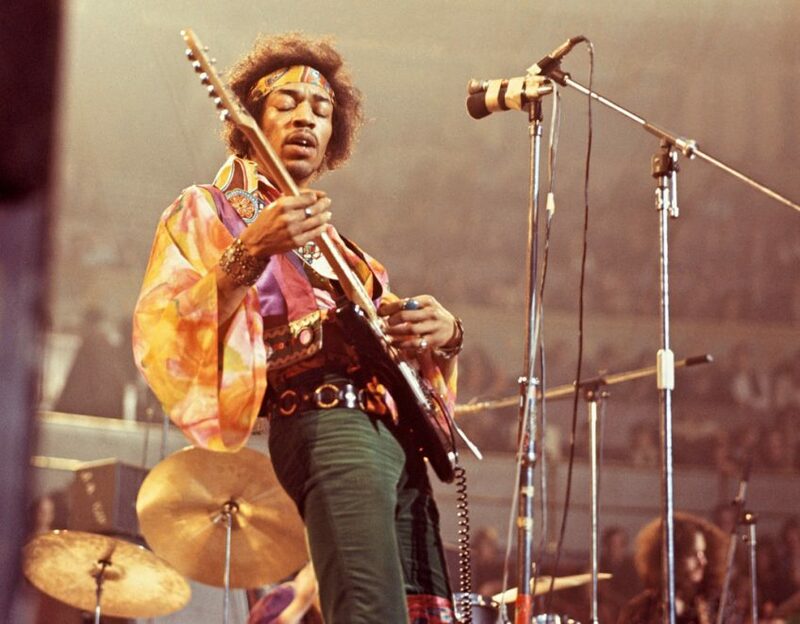 Jimi’s setup – much like the man himself – was modest, but oh so effective. Electronics guru Roger Mayer crafted effects to fit Hendrix’s music just as well as the bespoke cowboy-dandy duds that fashion designers tailored to fit his frame. The Mayer/Hendrix connection proved fruitful for all of us, yielding fresh sounds that extended the electric guitar’s powers of expression by several orders of magnitude. Wah, fuzz, Uni-Vibe effects and fluidly controlled cascades of feedback created a whole new universe of sound swirling around the massive star at its gravitational center. It was a sound so otherworldly that contemporaries couldn’t help but thinking that there was a little voodoo involved. By the way, if you’re using a tube amp with no Red Box-type DI, start with the Master volume down super low, or you’ll deafen the neighborhood! Once you start playing, you can then crank it up as much as you need to get those Hendrix-esque sounds. Welcome to the Clean Machine: Pink Floyd’s David Gilmour is another master of sparkling tone, albeit with a touch more British steel. His forays into neighboring crunch and lead territory can certainly make your hairs stand on end, but Gilmour’s ethereal clean tone is still the yardstick by which undistorted cathedral guitar sounds are measured. Take, for example, that haunting four-note motif after the initial solo on Wish You Were Here’s Shine On You Crazy Diamond. That line is a masterclass in restraint, proving that the Gilmour style guide boils down to one rule: less really is more. Few would dispute that his trademark emotive touch – a unique blend of spare beauty and soaring pathos – is unlike any other guitarist’s in the rock era. There’s no excess in his art, and his lean lines would never have prompted Emperor Joseph II to give Gilmour the kind of grief he gave Mozart about there being “too many notes”. Yes, his playing is economical, but there’s no denying the powerful compositional drama in his note choices and delivery. 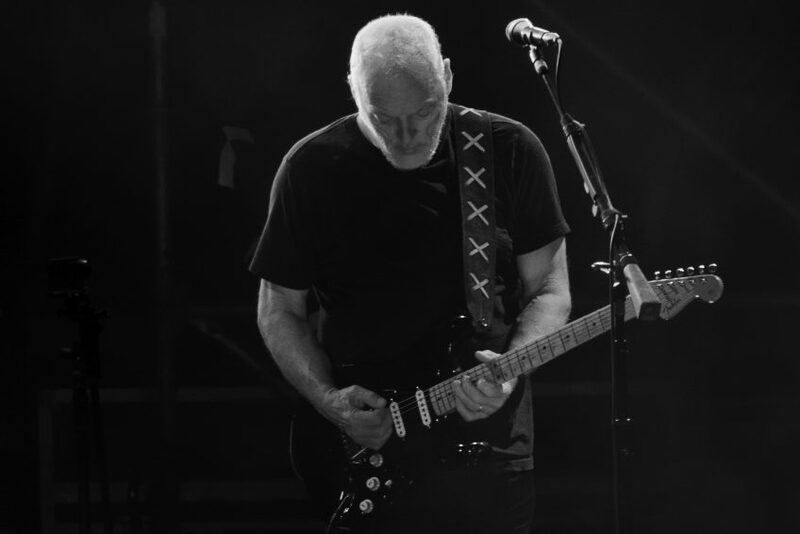 Born on March 6, 1946, in Cambridge and brought on board the mothership as a stand-in for Syd Barrett in 1968, just in time to set the controls for the heart of the sun, Gilmour still goes to great lengths to produce his tone today. His current setup is fairly extensive (check out some recent live footage to see what we mean! ), but the essence of his magic can be distilled with relatively basic tools. A Strat, a good tube amp, a touch of compression and a little echo or reverb are all it takes to at least shine like a hazy diamond. 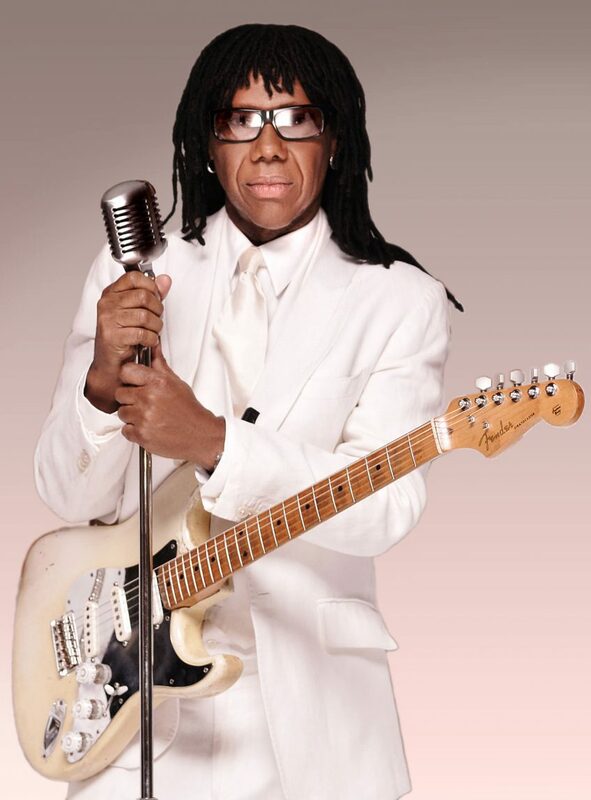 Now it’s time to pay homage to a man who spanks the plank like no other, Nile Rodgers, furioso funkateer and the raja of rhythm who rules the R&B roost! Rodgers is the undisputed heavyweight champion of clean funk-approved playing. His distinctive touch is instantly recognizable; his ultra-tight licks the propelling force that drive hits such as Chic’s classic Le Freak and French electronic duo Daft Punk’s platinum-selling Get Lucky. Those infectious syncopated grooves, locked in with four-to-the-floor beats, have made millions want to get up, dance, and do the white man’s overbite. Then there’s his knack for choosing unusual chord inversions, a gift informed by a deep love of jazz. Yes, friends, listening to jazz is acceptable. Indeed, Rodgers’ musical roots ring true in those rich, sophisticated voicings and chops honed in the jazz clubs and concert halls of Lady Liberty’s home town. Formed and tempered by experience in this crucible, his pop craft paid big-back dividends for superstars such as Madonna and David Bowie, for whom he produced landmark albums. We would be hard-pressed to call to mind another guitarist with as many gold records to his or her credit as Nile Rodgers. Like so many of the very best stylists, his approach to guitar parts is surprisingly simple and logical: come up with a smart idea or two, an infectious groove and a catchy hook line, and capture the magic with a clearly structured sound and a tight performance. Rodgers’ rig is as simple as they come – all he needs is one Strat. Pretty much any Fender-style combo will do to take his distinctive ‘chucking’ sound to the stage. There’s not a huge amount of top end in Niles’ tone, and little of that typical Strat twang and snappy attack. He prefers to dial in a warm midrange that sits nicely in the mix without stepping all over other instruments’ frequencies – a brilliant strategy, if you ask us. To get this sound, the low end has to be tight and restrained to keep the preamp in the clean zone even when the spanking gets vigorous. Give the power amp master knob a healthy nudge to the right so as to leave plenty of headroom, and back off the gain; 12 o’clock will do nicely. So there you go – three legendary guitar sounds to try and emulate. Let us know if these tips inspire you, or get you sounding a little more like Hendrix, Gilmour or Rodgers. And do tell us: who would you like to sound like? Want to know how we’d set our amp to sound like AC/DC, or Tom Morello, or James Bay? Then let us know, and we’ll see what we can do! First published: April 22 2016. Most recent update: April 26 2016. How would you set up and mid scoop Metallica Hatfield sound. Particularly harvester of sorrow or puppets album. I love these tone articles! I read the AC/DC + SRV one as well, and I’ll need to try these as well on my TM18! Love my TM18 btw! I’ve been able to get everything from sparkling cleans and bluesy breakup to classic rock burn and even (with the aid of my trusty Tube Screamer) full tilt heavy metal roar. Ahh, I just saw you announced the Grandmeister Deluxe. Also watched the Rabea review on YouTube. There were sooo many things that I loved about that amp, but a few details made it unusable for me (unfortunately). I really loved the clean channel!! Seriously guys, that was just awesome! The crunch channel also had many of the sounds I was looking for. Unfortunately I didn’t fall in love with the lead channel. I’ve been using a Marshall JMP-1 preamp for many years, and I just love that smooth saturated distortion that unit gives me. I found the TM amp to be a tad too “sizzly” on the lead channel. Now, I actually had planned for this to be the case – I expected the TM to be a killer in the studio, but for my live gigs I wanted to continue to use my JMP-1 as pre-amp and just utilize the sweet sound of the TM 40 tube power section into a 2×12 cabinet. But unfortunately a small detail ruined that option for me – as advertised in the manual for the TM40 I was planning to utilize just the power amp by feeding my preamp signal into the effects return – but much to my distress I found that the effects return was placed AFTER the main power amp volume control 🙁 Effectively that meant that if I fed the TM40 with another preamp, I was forced to run it a full volume 🙁 Now, I don’t know if that is standard or not (my Vox AC30 combo has a master volume after the effects return) but unfortunately that rendered the entire amp unusable for me in live situations. Now, I gotta be honest with you guys – as I said, the clean and crunch tones of this amp are AMAZING! If I could afford it I would have kept it (or in that case the TM20 deluxe probably would have sufficed) for just my studio recordings (I regularly post recordings of cover songs on SoundCloud). But since I need my gear to be useable for live situations as well I unfortunately had to return it. I’m hoping maybe a future revision of the TM amps could have master volume after effects return? Or that I sometime in the future will be able to afford “studio only” gear, then a H&K is DEFINITELY on my wishlist 😉 Take care you guys, I hope you find my feedback useful. Thank you for an excellent reply – that really helped! Unfortunately I cannot seem to find a dealer here in Denmark, so as much as I would like to simply try both that’s probably not going to be possible. My current rig is maybe a bit different compared to most people. It’s based around a rack system with a Marshall JMP1 pre-amp and a bunch of rack effects. When playing live I currently feed that into the FX return of a Vox AC30. Previously I did experiment with a “double preamp” setup, but these days I’m actually only using the power amp from the Vox. In the home studio I’m currently simply running my rack gear through a cab simulator plugin. The Vox is too loud! At the last gig I ran the master volume on 1-2, so I’m not really hearing the power tubes open up. The vox is also very heavy. For hobbyist home recordings my current setup is OK, but I have no way of recording tones with a proper tube power amp. That is very important for me to get fixed 😉 Finally I’m hoping for some better cleans for my recordings with the TM…. As you can imagine I have no clue what the sonic implications of having a tube phase splitter vs a solid state one is… so that’s not really affecting my decision 🙂 But thanks for explaining the purpose of the third tube! The differences in gain range is probably the deciding factor for me. The TM40 sounds to be a much more versatile amp. Given that the price difference is fairly small it makes sense to me to get the one with the most sonic possibilities. I was worried about heat from the power soak when running in silent mode, but after reading up on the topic I believe that would be the same for both TM20 and TM40 because putting the TM40 in 20w mode simply disables two power tubes – correct? It also affects my decision that the TM40 has some sort of midi control and separate master volumes for each channel. Even if I end up only using the power amp section when playing live I can see how it could be useful to run different channels and watt modes for clean sounds and dirty sounds. And it sounds very useful to me to easily be able to tweak overall volume of all clean sounds and all solo sounds from the stage. That’s alright, no worries 😉 We enjoy getting blog-length answers to our blogs! The other solution to your recording problem would be to continue with the Vox, but build an isolation room/box to put it in so you can crank it 😉 Not worth it, really, but if you love the tone of the Vox. That said, the TM40 will get you into Vox territory on the cleans anyway. Great sounds! I’m right on the verge of getting this amp – but I have one problem that I hope you can help me with. I can’t decide between the Deluxe 20 and Deluxe 40! 20 watts is loud enough for me – but I want the best sounding amp! I’ll be using it live, but mostly on 0W in a home studio…. It would have been easier if the only difference between the two models were 2 additional power tubes, but the pre-amp section seems pretty different as well. Can you explain what the purpose of the 3rd preamp tube in the 40W model is, and how the crunch and lead channels on the 40W differs from the Lead/boost channel on the 20W. The Lead and Crunch channels on the TM40 benefit from seperate Gain and Master controls (on the 20 you have a switchable BOOST, but no level control), and from a seperate 3-Band EQ. On the TM20, Lead and Clean share the EQ, while on the TM40, the overdrive section has its own EQ. And the overdrive gain range is also extended on the TM40. This means that the Crunch channel on the TM40 starts cleaner than the lead channel on the TM20, and the lead channel on the TM40 goes beyond the boost on the TM20. Hope that helps a bit! And now the final point: tone is in the eye (well, the ear) of the beholder. Or the listener, in this case 😉 Only you can decide which sounds better to you, so we’d recommend that you give both a play and make the choice based on the one you think is going top perform better for you. It will depend on other factors too, like your choice of cab, guitar, technique, etc. Well seeing as I’ve just got a TM 18 head this week, I hope it’s soon! I really like these kind of articles about approximating a particular tone, as it makes for a really interesting home practice when you’re trying to emulate a particular player. We’ll do our best Matt, although he’s not going to make the next one we do – it’s already written and ready to go, and Clapton’s not in there. We’ll try our best for a future episode though! We also love the idea of being able to emulate players like this, so we want to do as many as we can 🙂 Enjoy your TM18! I’ve been using a Tubemeister 18 combo for a few months with my band. As others have said in this post, it’s very versatile. I played a large outdoor gig with it last Saturday and used the red box DI to the mixer for the first time. It sounded great, I had many positive comments about the tone through the PA. I used the TM18 combo like a monitor which worked well. I got tones from a completely clean jazz type tone, to a sustaining overdriven Santana style tone (using the drive channel with the “more drive” button on, the master very low and the drive nearly all the way on). And did I mention it only weighs 22 pounds ? I can carry my whole rig from the car in one journey. Any chance of a Clapton set up? Would love to see suggestions on how to replicate some of that Woman Tone! Sorry, is it just me having troubles making out the positions of the knobs? Especially for the Gilmour example it is impossible to spot the positions of the Mid and Gain knobs… some simple diagrams would work better. All in all a great idea to demonstrate the capabilities of the amps!!!! Excellent! I’m really looking forward to dialing those in on my Tubemeister 18. Good luck, we hope you enjoy the tones! Hi !! Great tones , really love the Hendrix and Gilmour ! Also the recording is very clean ! Any tips on removing noisy signal ? Noisegate or a specific setting ? Im using Tubemeister 18 through its redbox output ! Love the amp! Excellent tones! How about something more bluesy with a bit of dirt …. say in the range of Gary Clark Jr? I’d love to hear a SRV tone as well. STS has a song named Oort Cloud that has the tone I mentioned towards the end. There’s a pretty nasty bass solo in that same tune for the interested. I have a tone I’ve been trying to get on my GM36 – Warren Haynes Solo tone – do you have a tip for that? Forgot to mention who I’d be interested to see you guys do a mock-up on! Ah, these are interesting ones! Pretty sure we’ll get to a classic SRV tone at some point in the not-so-distant future. Scale The Summit we’re not too familiar with, so we’ll have to check them out. Any specific songs you’d recommend to hear that solo tone as required? I have a H&K TubeMeister 18 that I really enjoy. It originally was a purchase out of necessity because I needed an amp with a D.I. My band rehearses in two spaces each week. One space we can be quazi-loud and the other we can’t make much noise. In the quiet space we have electric drums, D.I. bass & guitar amps, and everyone wears headphones. The only thing heard by the outside world is vocals, muffled stickings and strings. I use the H&K in the “cyber space” studio. The H&K has really really great tone. I was VERY surprised with what I got for my money. Not only that, it looks cool too! There are a few small changes I would make though. The amp does get fairly hot in a small room. Luckily the chassis is made of metal. We played a gig last week and I used it on 18watts but we had a large fan blowing across the stage and the top of the amp was cool as a cucumber. Another change would be the knobs. They are solid, and have very smooth pots, but I find it hard to see the indicator dimple on each knob to be able to tell what I have it set at. This isn’t a huge issue, but at a glance from across the room or stage it is hard to see what the EQ, Gain, and Master knobs are dialed to. I can’t wait to get to the studio next week and try these couple of tones above on my TubeMeister18! Can anyone make out the gain setting on the Gilmour tone clone? The reflection from the knobs is making it hard to tell. I’d imagine I’ll be able to tell by my ear, but currently I’m writing this down since I don’t have my amp at my disposal currently. Overheating is only going to be a danger if you put the amp in a rack without adequate space or a fan or something to keep it cool. Of course, doing it the way you did with a fan is also one way to go. Love this article. The David gilmour sound is awesome. Being that I’m more into hard rock and metal, my question would be, how would you dial in the eq to get mark tremonti tones? I have my 30th anniversary tubemeister 36 dialed in to a sound I like, but would be curious as to what you all, the experts, would recommend. I am a fan of Tubemeister Head ( mine is 18 Head Anniversary version with NOS tubes ). It will be very nice to see how to setup the amp for to sound like AC/DC or other guitar heroes. Thanks for the kind words Huey! 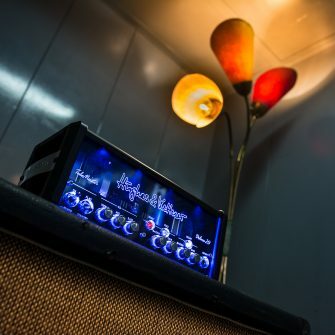 Never fear, while Hughes & Kettner is here the dinosaur world of analogue is also here to stay 😉 We also love a pure and simple guitar signal – check out our Puretone amp for proof of this 🙂 If you like T-Rex, maybe we should do some Marc Bolan tones for you next time!